When powered, the game had a constant white noise while music and the other sound effects were working correctly. The sound problem was not due to the amplifier or bad caps but it was produced by the logic of the game. To make a long story short, this game has a similar circuit to what Space Invaders use to produce analog sounds. 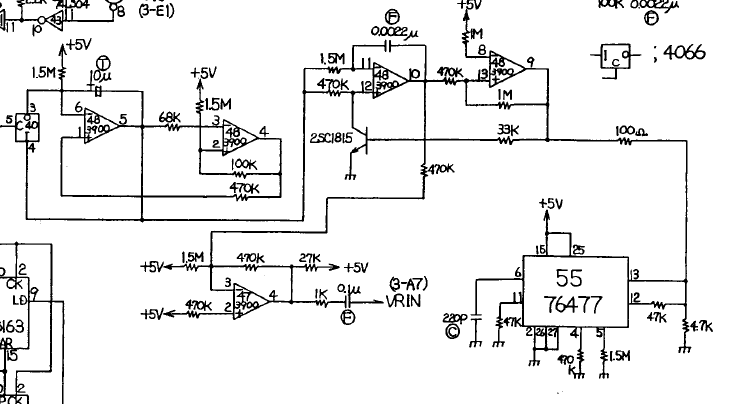 It uses a SN76477, which is a programmable sound chip which has a white noise function. 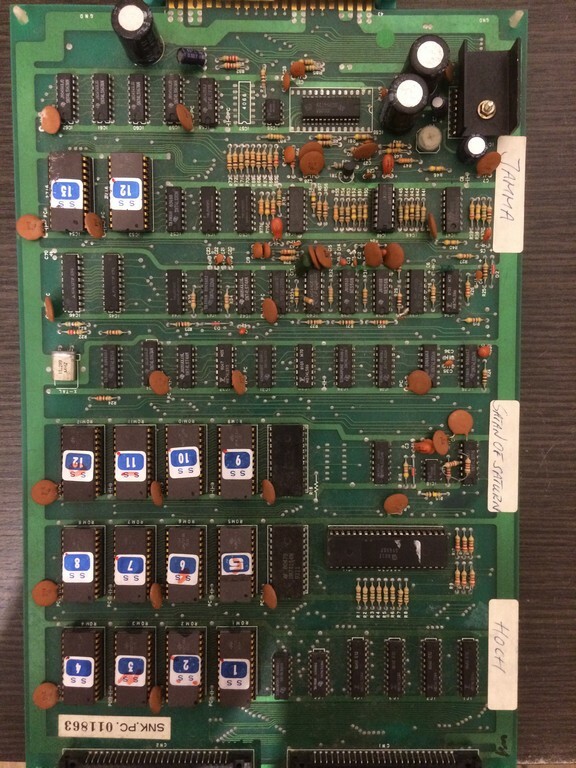 On Space Invaders and in this game, the chip continuosly output the white noise which is switched OFF and ON using operational amplifiers and it is modulated with capacitors and resistors to produce different sounds.